It started with the searing sound of a slide careening up the neck of an electric guitar. In 1970, twenty-three-year-old Bruce Iglauer walked into Florence’s Lounge, in the heart of Chicago’s South Side, and was overwhelmed by the joyous, raw Chicago blues of Hound Dog Taylor and the HouseRockers. A year later, Iglauer produced Hound Dog’s debut album in eight hours and pressed a thousand copies, the most he could afford. From that one album grew Alligator Records, the largest independent blues record label in the world. 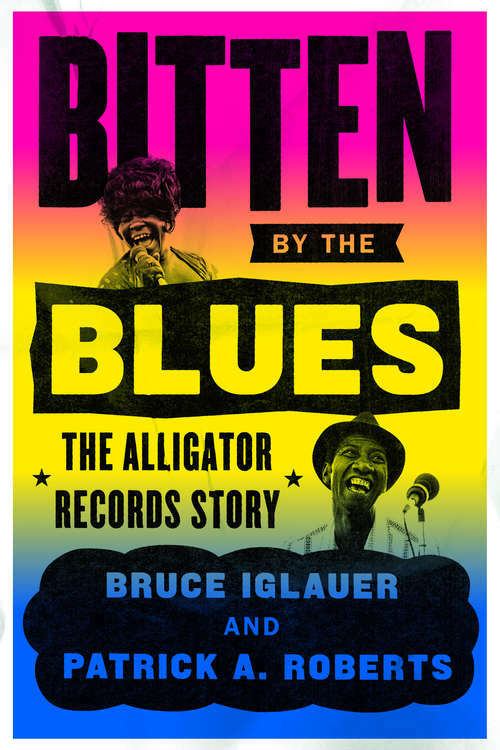 Bitten by the Blues is Iglauer’s memoir of a life immersed in the blues—and the business of the blues. No one person was present at the creation of more great contemporary blues music than Iglauer: he produced albums by Koko Taylor, Albert Collins, Professor Longhair, Johnny Winter, Lonnie Mack, Son Seals, Roy Buchanan, Shemekia Copeland, and many other major figures. In this book, Iglauer takes us behind the scenes, offering unforgettable stories of those charismatic musicians and classic sessions, delivering an intimate and unvarnished look at what it’s like to work with the greats of the blues. It’s a vivid portrait of some of the extraordinary musicians and larger-than-life personalities who brought America’s music to life in the clubs of Chicago’s South and West Sides. Bitten by the Blues is also an expansive history of half a century of blues in Chicago and around the world, tracing the blues recording business through massive transitions, as a genre of music originally created by and for black southerners adapted to an influx of white fans and musicians and found a worldwide audience. Most of the smoky bars and packed clubs that fostered the Chicago blues scene have long since disappeared. But their soul lives on, and so does their sound. As real and audacious as the music that shaped it, Bitten by the Blues is a raucous journey through the world of Genuine Houserockin’ Music.